breath * life * flow: 4th of july feast! this year i'll be bringing a recipe that chloe passed on to me and i have to say it's one of the best things i've ever tasted. rosemary lemon bars. i would have never thought that marriage would work but these sweets are now one of my favorite desserts. 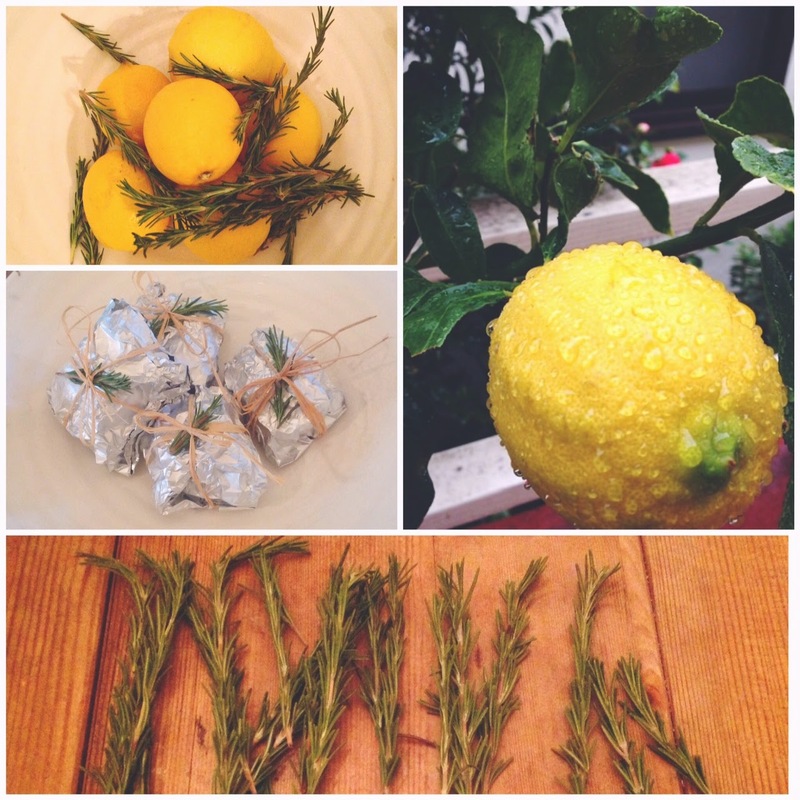 with recipe in one hand and gardening shears in the other i stepped into my garden for some snips of fresh rosemary then over to my aunties for meyer lemons cut from the branch. these goodies were fairly easy to make and everyone that tried my test batch was over the moon so i'm confident i have dessert covered! can't wait to see what everyone else is bringing to the party. today we eat, tomorrow we exercise! for the crust, cream the butter and sugar until light in the bowl of an electric mixer fitted with the paddle attachment. combine the flour and salt and, with the mixer on low, add to the butter until just mixed. stir in rosemary. dump the dough onto a well-floured board and father into a ball. flatten the dough with floured hands and press it onto a 9 x 13 x 2-inch baking sheet, building up a 1/2-inch edge on all sides. chill. cut into rectangles and dust with confectioner's sugar. add rosemary to garnish.